Children and families from across the district will have the chance to become explorers for the day with a fun adventure challenge. ‘Xplorer’ is a free event which will be held from 10.30am to 12noon on Wednesday 20 February at Priory Park. Participants are asked to meet at the bandstand on the day. The family-friendly navigation challenge will see participants explore the park with a map to find markers as quickly as they can in order to win a prize. At each marker, children need to identify what is pictured and enjoy learning a fun fact to share with their friends. 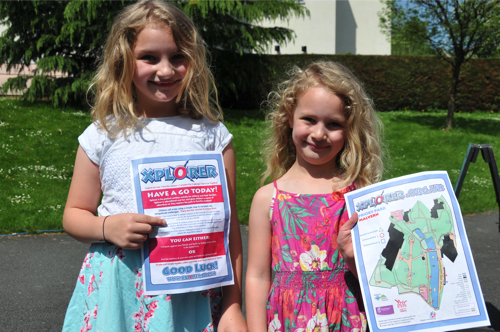 ‘Xplorer’ is an educational task suited to primary and pre-school children and their families which involves a mix of physical activity and decision-making. No experience of map-reading is necessary and parents are encouraged to join the fun. The event has been organised by Malvern Hills District Council in partnership with Freedom Leisure, Malvern Cube, Fortis Living and Action for Children. Visit www.xplorer.org.uk for more information.